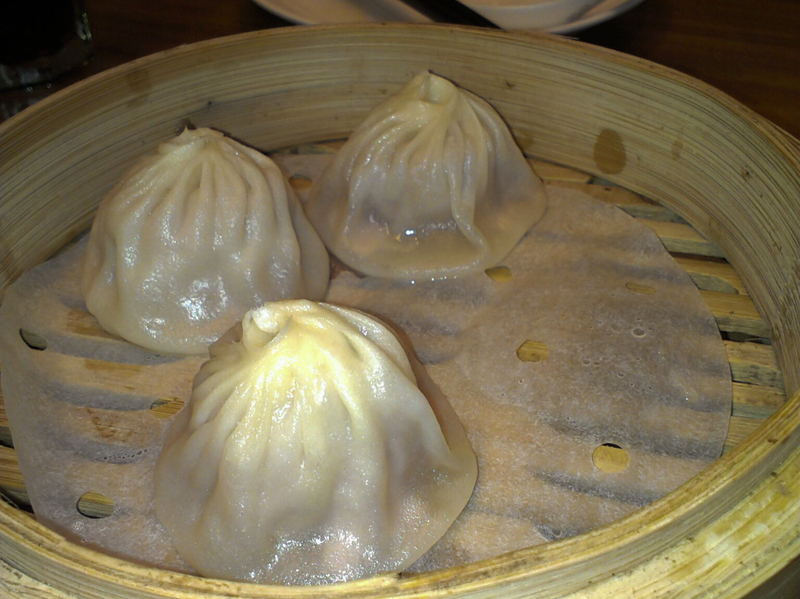 Crystal Jade La Mian Xiao Long Bao @Takashimaya S.C. (Singapore) | Get Your Grub On! They Know Their Dan Dan Mian! When a friend came back into town for two weeks she was desperately craving for Xiao Long Bao (steamed pork dumplings) and Spicy Sichuan Noodles (Dan Dan Mian). We made our way into town for one of our favorites, the ‘La Mian Xiao Long Bao’ outlet of Crystal Jade at Takashimaya Shopping Center. Their ‘Xiao Long Bao‘ are still the best I have eaten, even after they reduced the amount of baos per serving from five to four and making them bigger instead. The skin is nice and thin and the meat tastes very delicate and with a fine texture to it. The most important thing though is the soup hidden in the dumpling, and at Crystal Jade this is by far the tastiest of them all. I burnt myself slurping out the soup too fast through a little hole I bit into the dough. My friend always orders the ‘Dan Dan Mian‘ noodles that come with a delicious creamy, thick and spicy peanut sesame gravy mixed with chili oil. 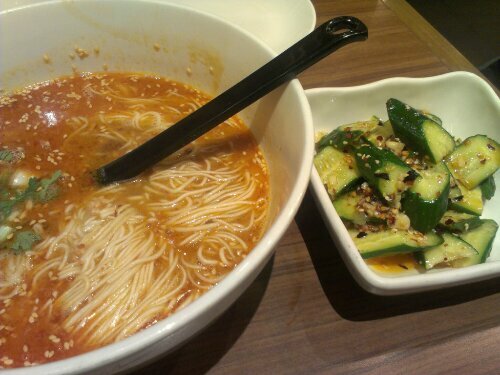 You can chose between a wide selection of mian noodles too and they always come nicely springy and al dente. As I saved space for all the dumplings I ordered their ‘Double Boiled Beef Soup’ without noodles which tastes fantastic. The broth is dark and rich and has a slight sour meat taste to it. The beef pieces reminded me of those which you get in Taiwanese Beef Noodles. It was a mix of lean meat with small fatty parts in between which was obviously cooked for a long time as it fell apart and tenderly melted when squeezing it with my tongue. The ambiance is a no thrills one, clean and almost cold as at many other Chinese restaurants and the service is efficient and friendly yet not overwhelmingly affectionate. The food is great though and even if the service was terrible, I’d still be coming back for more.